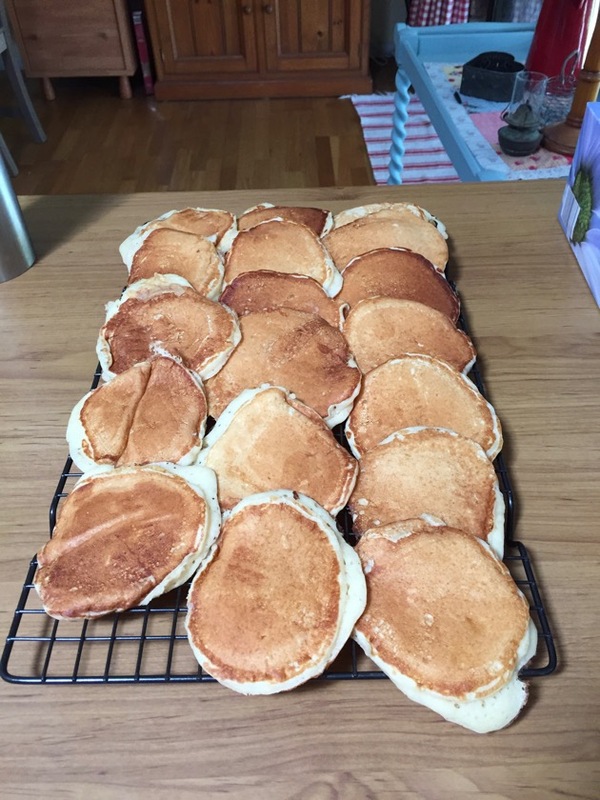 Yesterday I made enough buttermilk pikelets/flapjacks for our house, Sunny's house and Jamie's lunchbox. They were supposed to be my apple and cinnamon but, ahem, I forgot the apples and the cinnamon. They were delicious with some good strawberry jam. Happy Australia Day to all my Australian friends and neighbours. I hope you enjoy whatever you do today in this great country of ours. 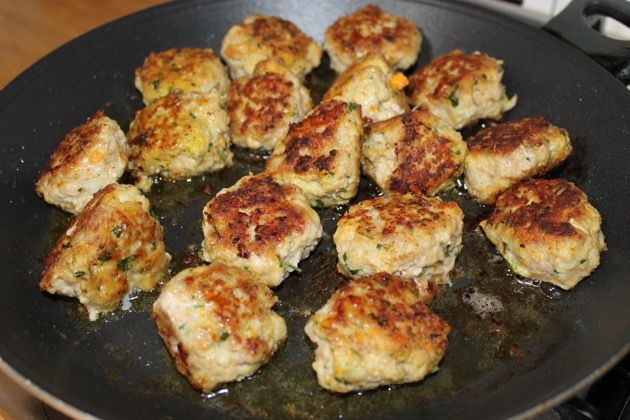 Meatballs, whether they be rissoles, small Italian-style meatballs or Swedish meatballs are a popular meal, are fabulous as leftovers the follow day and make wonderful lunchbox food. The problem with meatballs is that often they're tasteless and dry. I'd like to introduce you to my meatball recipe. You can use beef, pork or lamb, the choice is yours, the other ingredients are always the same. The secret is to use milk-soaked stale bread instead of breadcrumbs. Doing that will give you moist meatballs every time. But you also have to add flavour. I add onion, grated carrot, spices, parsley, egg, salt and pepper but you can add whatever you fancy as long as it boosts the flavour. Soak the bread in milk for about 15 minutes and break it up with your clean hands. It should look like a lumpy paste when it's ready to use. I processed the onion, carrot and parsley in a small food processor for about 30 seconds. 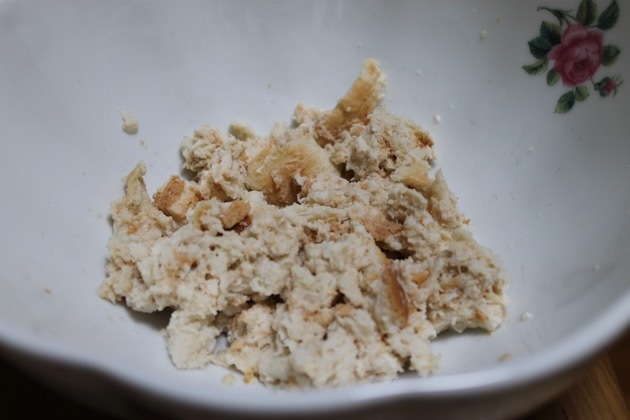 Place the soaked bread in a large bowl, add all the other ingredients and mix it all together thoroughly. Form into balls about the size of a small golf ball. Place all the meatballs on a plate, cover with plastic wrap and let it sit in the fridge for 30 minutes. That will help the meatballs firm up and stay together when you cook them. 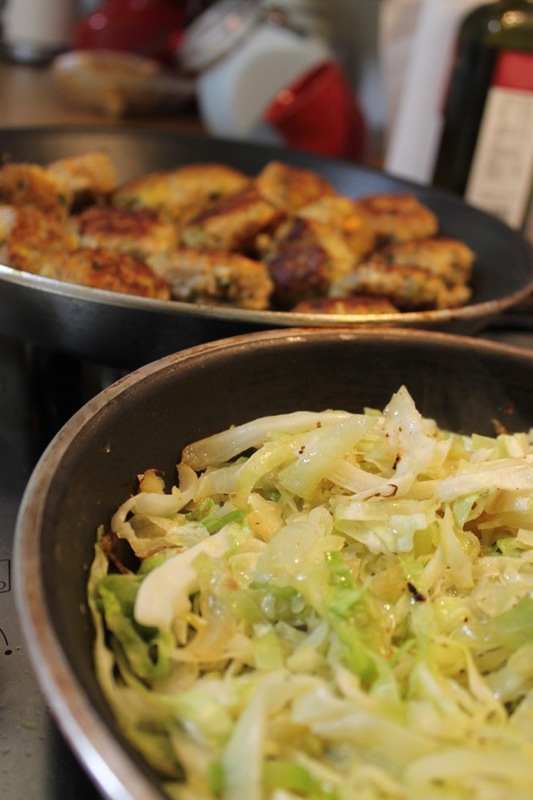 Add a small amount of olive oil to a frying pan and when it's hot, add the meatballs. Cook on a medium heat for about 30 minutes, turning every 10 minutes. You can also brown the meatballs in the frying pan and finish cooking them in the oven but it was too hot to do that here when I cooked mine. I made a nice sauce to go with these. 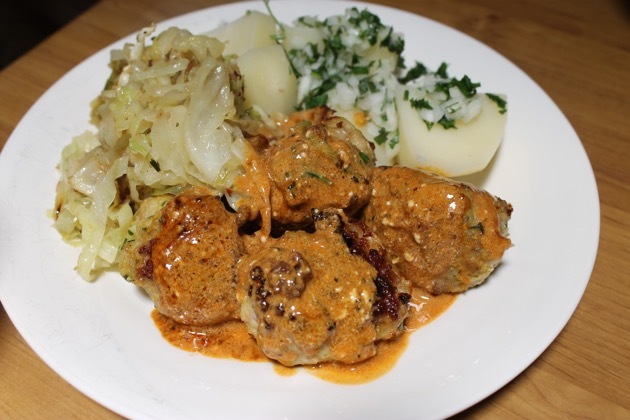 When cooked, I removed the meatballs from the pan and added ¼ teaspoon of paprika, a sprinkling of celery salt, white pepper and stirred so it didn't burn. I added ½ cup of water, I let that come to the boil and left it on a medium heat for about 2 minutes. Just before I served the meal, I added ¼ cup sour cream to the sauce and stirred it through. 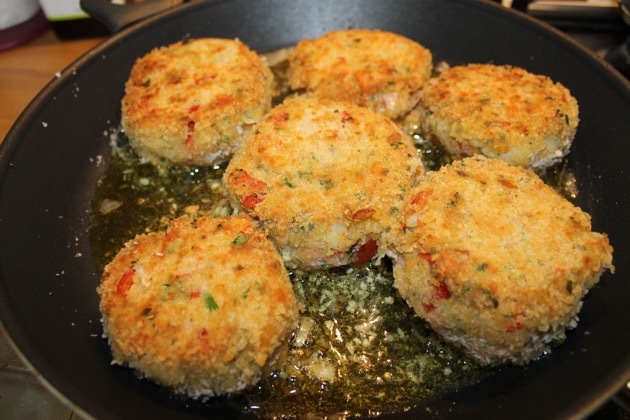 I served these with pan fried cabbage and onion, boiled potatoes and parsley. You could just as easily make this recipe into a meatloaf to serve hot or cold, or around the outside of boiled eggs to make Scotch eggs. If you make these, don't forget to adjust them to your taste but to get the moistness and a good flavour you should always include the milk soaked bread, the onion and carrot. I hope you try them. Gracie with her blankie, my old unstitched ugg boot. 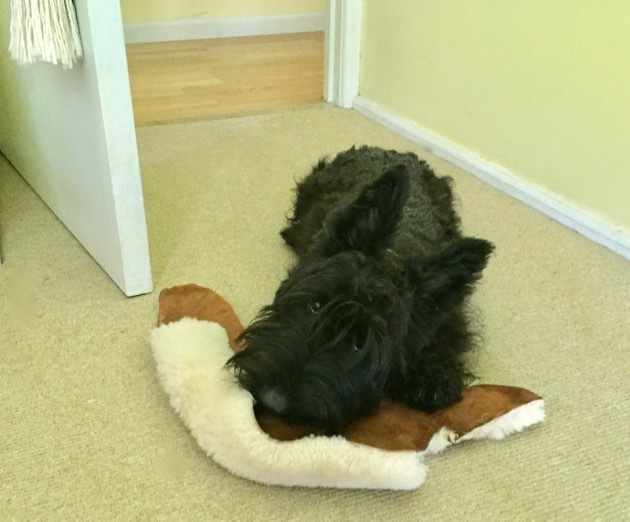 Life's good with our little black Scottie, Gracie. She watched a television documentary with me yesterday called Dogs, their secret lives. I think she liked it because she sat quietly as we both watched and listened. Every so often she got up and ran through the house like a crazy thing, then came back to watch again. I wonder what's going on in Gracie's secret life. This week she discovered cane toads in the back yard and chased one. Luckily Hanno removed it before she caught it. They have poison glands in their back and can cause a lot of trouble in dogs and cats. She's a good girl most of the time but we're struggling with one important command - Come Gracie! She only does that when she thinks there's something in it for her, but maybe that's a sign of intelligence. 😊 We're patient people, we'll get there. We slow down and relax during December and January. The garden produces a few herbs and fruit so it only needs watering, Hanno mows the lawn on his ride-on mower and apart from excursions to the backyard in the early morning and evening, we spend time inside, out of the heat. I use the time to plan for the year ahead, clean and organise cupboards and drawers, and I knit. 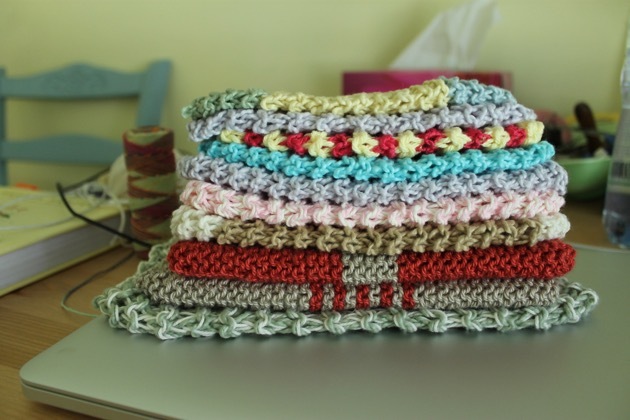 Every couple of years I knit a 10 - 12 dishcloths for our use here and I might do a few more fancier ones for gifts. I use the end pieces of knitting cotton I've used during the year on other projects. 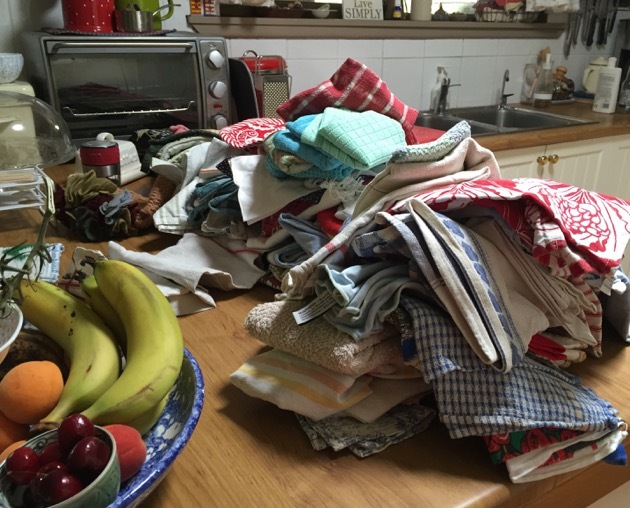 It provides me with dishcloths for the kitchen and it uses cotton that might otherwise be wasted. This year I'm also making a shawl for myself. I have two others. I love knitting them because they're so easy and they keep me cosy and warm during the winter. In our climate, we rarely have special clothes for winter. A cardigan or jumper with a shawl is all I need for even the coldest day here. 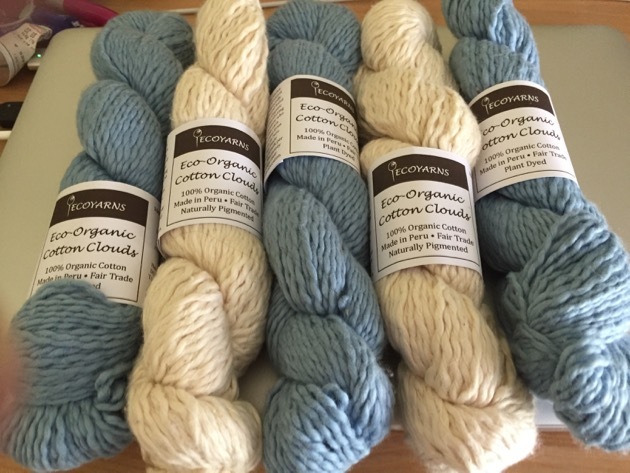 I'm very fortunate to have been sponsored by Ecoyarns for several years now so I have a good supply of high quality, environmentally sound and ethically produced cotton and wool. Many years ago I used to knit with the cheapest wool and cotton I could buy but now I know that it's worth the extra money to buy the best I can afford. The amount of time given to homemade knits means I want them to last and look good for years. 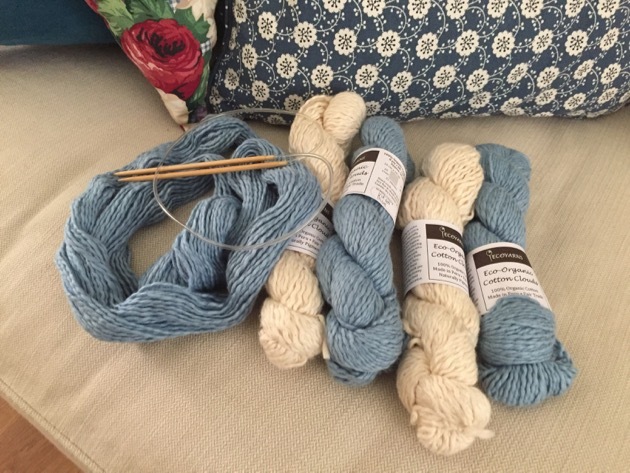 I have full confidence in the cotton and wool I use from Ecoyarns and I'm happy to knit for my grandchildren and have those garments on their young skin. I think we can be exposed to a lot of elements in our daily lives that may not be good for us. Sometimes it's the air we breathe, sometimes it's something we eat or wear or use on our skin. I try to not add to that by using yarns I'm not sure of. 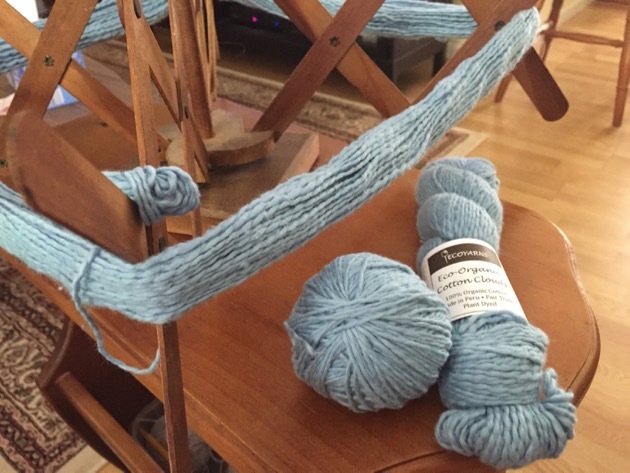 At the moment I'm using Eco-Organic Cotton Clouds in the Virga Blue colour for my shawl. I'm knitting on circular bamboo needles in the simplest pattern possible. The project after this will be for my granddaughter and I think it will be this little dress. 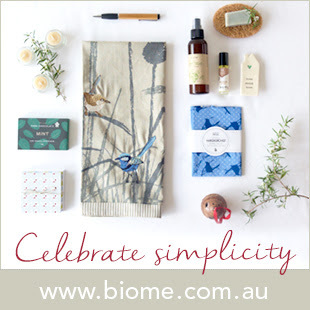 I'm pleased to tell you that Ecoyarns is expanding its focus to provide a wider range of products. 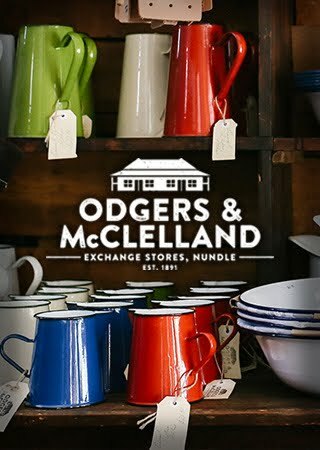 They are a socially responsible company and will choose their products by taking into account manufacturing processes, environmental impact, animal welfare, women's welfare, impacts on the local community and Fair Trade. Salihan and her husband Richard plan to offer us more information on their website so we can make informed choices and be certain of what we buy. We'll see more signs of that as the year progresses. 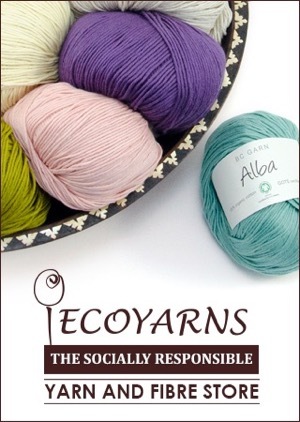 If you've not shopped online before, I recommend Ecoyarns to you as a trustworthy business. Salihan goes beyond the necessary and normal and provides exceptional service and very beautiful ethically produced yarns. Ecoyarns' details are always in my right side column. When I'm not knitting, one of the important things we do at this time of year is plan and organise so we go into the new year prepared and with a general idea of what's going to happen. Organising menu plans, revising routines, cleaning cupboards and drawers, mending, knitting, filling in a diary and calendar now, all help me later in the year when it's much busier. Of course, the unexpected will also happen but when it does, it's easier to cope with if we are organised. When all the work of the year is done and the coming year is planned as much as it can be, I plant myself in a comfy chair, pick up my needles and knit. 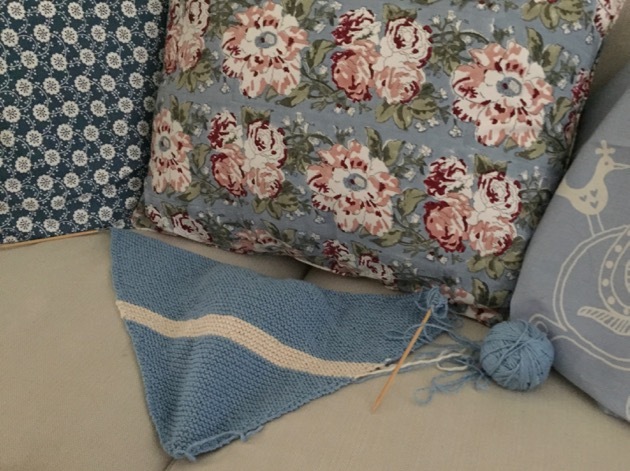 Sitting back with my soft cottons, knitting row upon row allows me to think about life and what I want from it as the weeks go by. 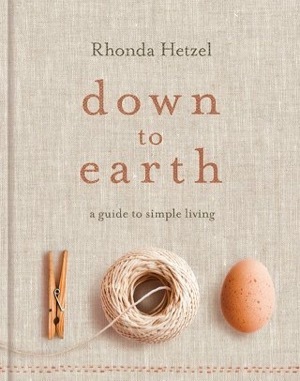 Knitting is like meditation with its repetition and it helps the mind reach a relaxed focus. Oh yes, here she is again watching as I wind cotton on my swift. She was mesmerised by it and sat there staring for quite some time. Knitting isn't a seasonal activity for me, I do it year-round. I generally knit with wool in winter and cotton in summer but I mix it around too. There are no rules, I do what I feel like and that makes it all the more relaxing. I like to knit simple patterns that I don't have to think about too much. What are your favourite knits? What's that? You don't knit! Well, get yourself some knitting cotton, cast on 30 stitches and keep knitting row upon row of whatever stitch is easiest for you. Knit a square and when it's as big as you want it, cast off. That's your first dishcloth. When you finish, I'd love you to tell me about it. Packing dried oregano into a jar. Life takes a gentle turn this week. It's back to school for Australian children in a few days so from this weekend, the thousands of tourists who flow into this region for the summer holidays, pack up and go back to normal life. And all of us do too. Once again there will be parking spaces at the beaches and shops, prices will go back to normal and life will be fairly slow again. 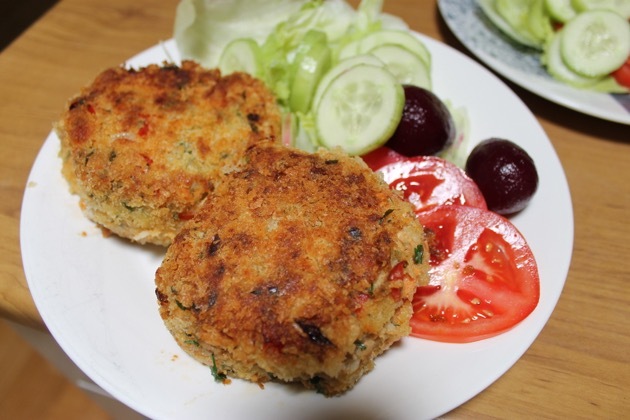 I make salmon rissoles or fishcakes fairly regularly as they're a cheap and easy meal that will stretch one can of salmon to feed four people. However, I made this during the week and Jamie didn't like it. He ate what was on his plate, just as he always does, but when we had leftovers the following day the first thing he said was: "not those fishcakes!" Luckily for him, there was only one left which I had, he and Hanno finished off the chicken cacciatore from the day before. 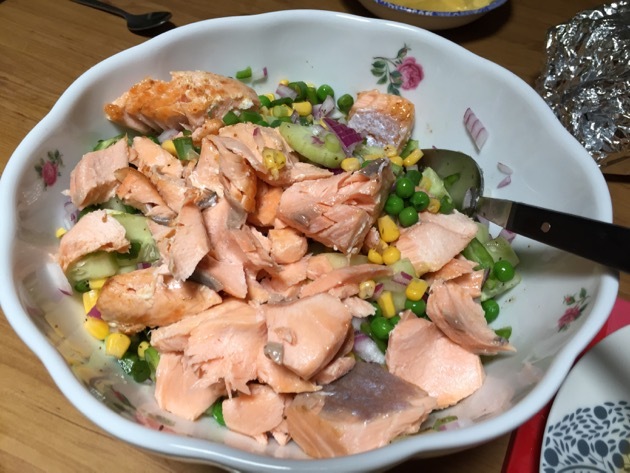 For those who do like this kind of pantry food - we always have salmon and potatoes in the cupboard - it's a good standby when you need to rustle up a meal and all the meat is frozen. 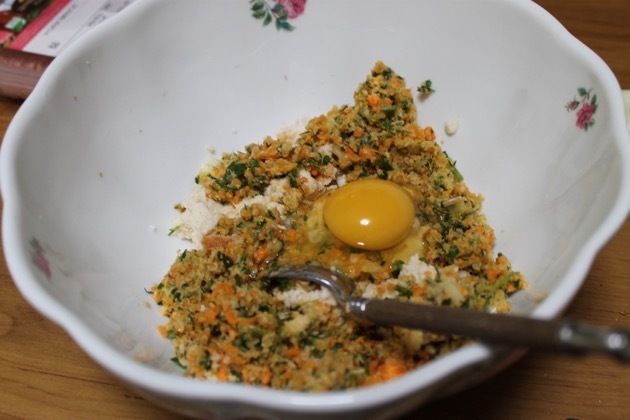 You can bulk it out with potatoes, breadcrumbs, vegetables and eggs so it ends up being very tasty and nutritious. Cook and mash the potatoes and allow to cool slightly. 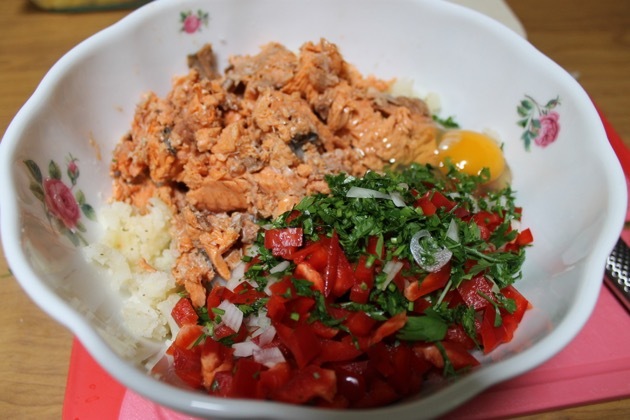 Add potatoes, salmon, eggs, ¼ cup breadcrumbs, onion, herbs, capsicum/pepper, salt, pepper and anything optional to a large bowl. 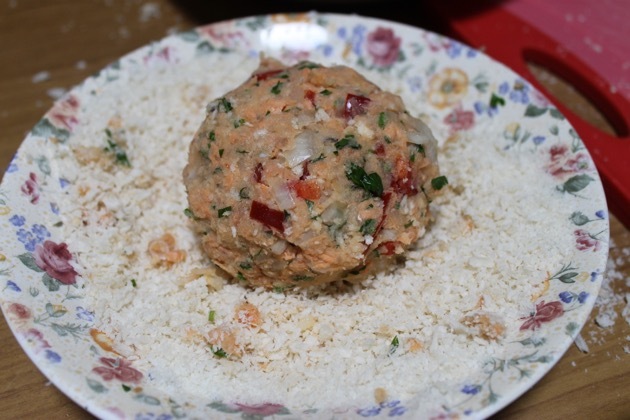 Mix together well and shape into round balls, then squash down to make a thick disc. It's up to you how large or small you make them. 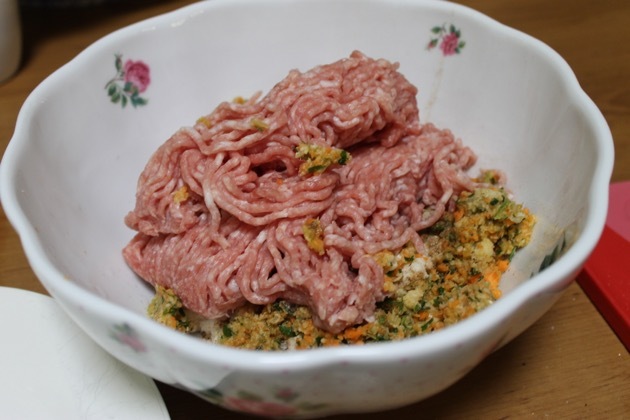 Add ¾ cup breadcrumbs to a bowl and coat each rissole with crumbs. 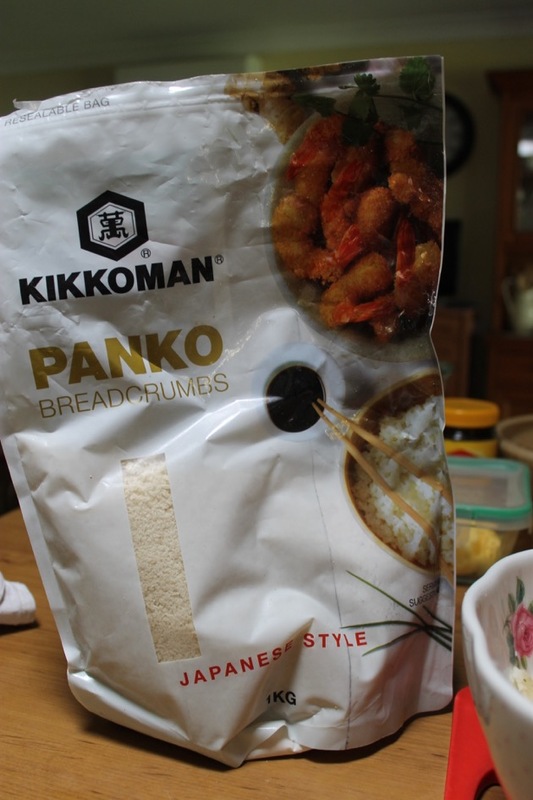 I use Panko for extra crunch. 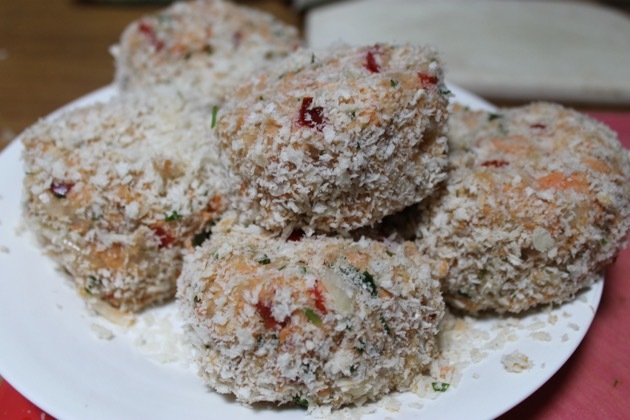 Put the rissoles on a plate and allow them to sit in the fridge for an hour, if possible. This will help the rissoles stay together when you cook them. Heat olive oil in a frying pan, add the rissoles to the pan and fry on medium heat until they're golden brown all over. That will take about 15 minutes. 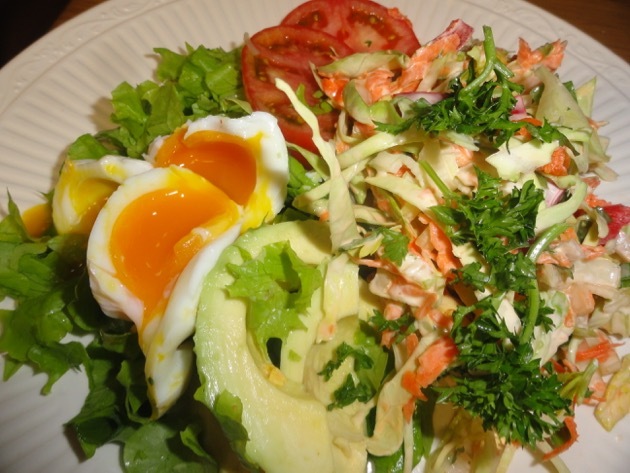 Drain on paper towel or clean cloth and serve with a salad. I have mine with chilli jam as well. 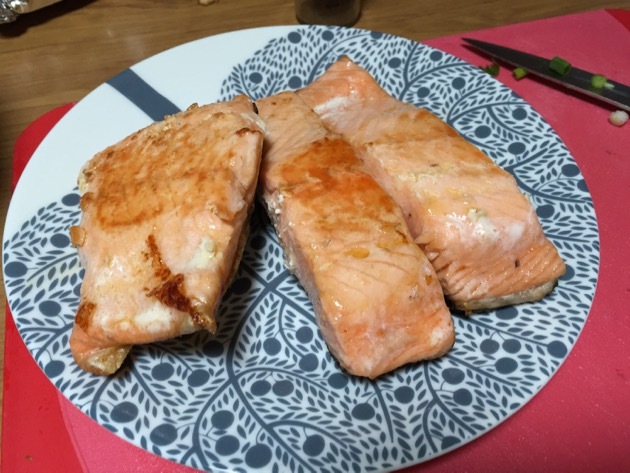 I use the Aldi premium red salmon which is around $8, you could make a cheaper version by using pink salmon. I estimate the cost of making these would be around $15 and if that feeds four adults, or two adults and two children, that's a good frugal meal containing omega oils and vegetables. I often tell you how peaceful it is here in our one lane, dead-end street. There's not much passing traffic except for the migrating birds that visit us on their way to who knows where. 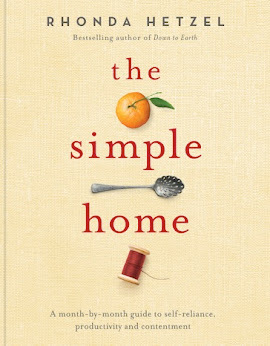 Apart from the work we do in our home to support the life we want to live, not much happens here. It's ordinary days lived by ordinary people. But last week all hell broke loose and we just sat back and observed. Just beyond that picket fence is our usually quiet street. 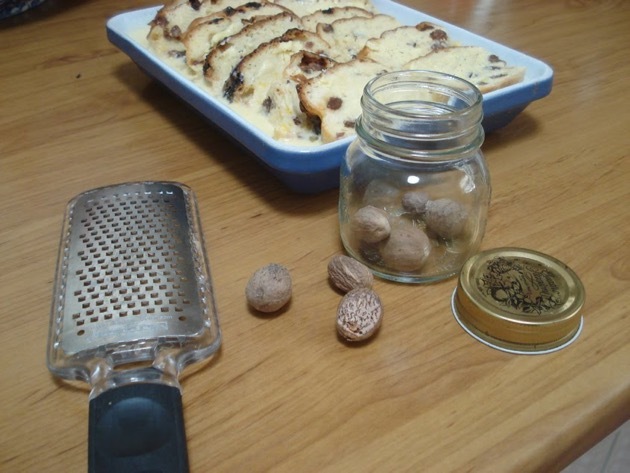 Fruit bread and butter pudding. Then on Friday, Sunny came in to collect Jamie after work and asked why all the police were in the street. She had to drive past many armed police and thread through police cars to get to our place. We had no idea what was happening but found out later from a neighbour that there had been a big drug raid, lead by the SWAT team, in a house a few doors down. Gulp. A family meal. You can always tell where I'm sitting. It's where the big cup of black tea is. 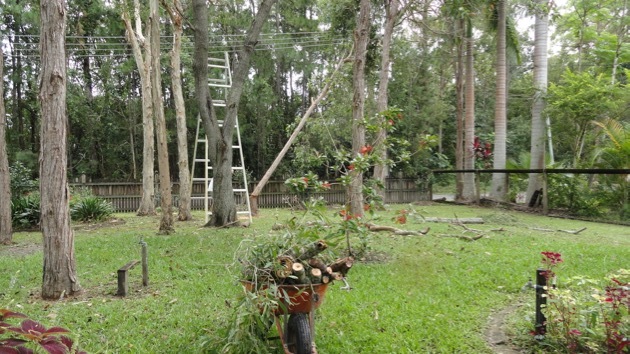 All the while we continued doing our daily chores and apart from living without power for 14 hours and knowing these things were happening around us, we were not alarmed by the outside world moving closer to us in our street. We're in our haven here and we feel safe. I've been knitting a fair bit and I'm pleased to have finished my year's worth of dishcloth knitting. I started another shawl after the dishcloths and that's progressing well. I'll be doing a knitting post very soon so I'll save the details for that. 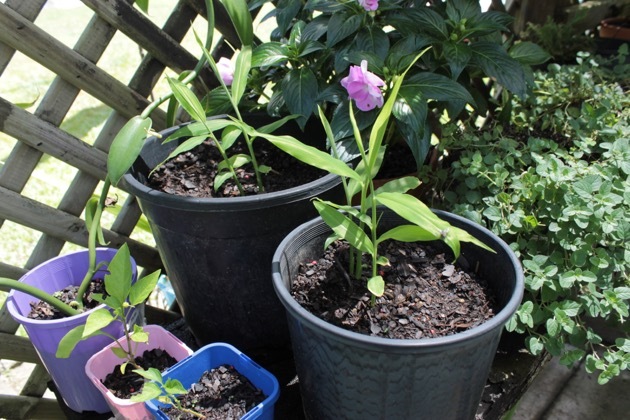 I've baked, cooked, watered plants, and sat awhile in the garden in the early morning and thought about our new season garden that we will plant in March. It's not far away so I'd best start thinking about the seeds I want to plant. They need to be ready to go in the ground in eight weeks. When I have some spare time I do an hour or two on my family history. Cupboards have been cleaned out, the fridge tidied, decluttering is in full swing (again), we've been teaching ourselves how to groom Gracie, I've been sewing, mending and organising my sewing room. The morning chores start with the bed being made and the kitchen tidied and the hours progress slowly from there. Our main meal is eaten at lunch time and a nap taken is after lunch. We have the pleasure of Jamie's company until next week. He's been such a help to us and he makes us laugh. 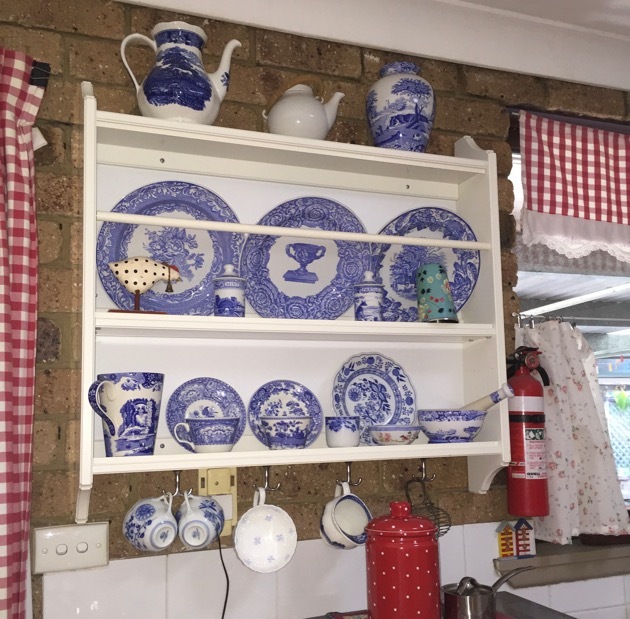 When he goes back to school in a couple of weeks time, I'm going to do a few more cupboards so we'll go into the year with most of our cupboards clean and organised. Here she is again - Gracie, a never-ending source of smiles and silliness. 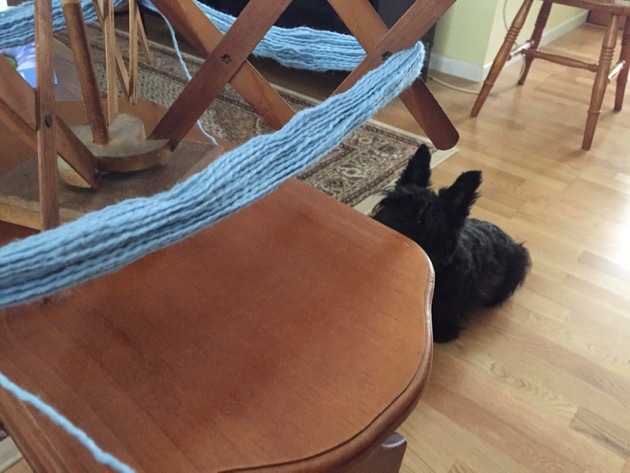 I was winding knitting cotton on my swift during the week and she was captivated by the spinning. In the photo here she's watching the cotton spin, she didn't bark or jump around, she just sat there, staring. It's been a busy week here, made a bit more difficult by the heat and humidity of mid-summer. I'm looking forward to the end of it and the cooler temperatures of autumn. I hope that wherever you are you aren't suffering with your local weather. Thanks for your visits this week. I'll see you again soon. 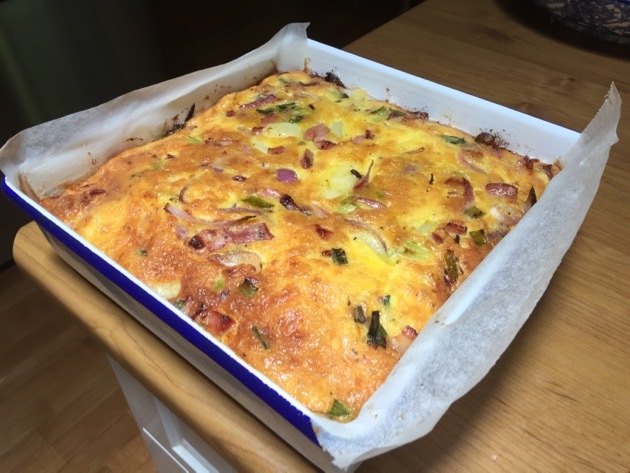 I did a similar recipe in December but I'm posting this one today because I want to show how I dealt with our leftover Christmas ham, and it just so happens to be another baked frittata. A frittata is like an omelette that you can cook either on the stove top in a frying pan or in a baking tray in the oven. Either way, frittata is a great addition to your cooking from scratch repertoire because they're nutritious, easy and quick to make and they're extremely versatile. Generally they're a cheap option too and they become even more frugal when you use the vegetables you need to use up that day and eggs from your backyard. Frittatas may be eaten hot or cold, I prefer a cold slice, and are a great addition to the lunchbox or when travelling on the road, if they can be kept cold of a hot day. It's easy to adjust this recipe to make a vegetarian version and we often have it with vegetables only. You can make a nice short crust pastry to hold the frittata mix or you could use three or four sheets of frozen filo pastry but it works really well with no pastry so that is usually how I cook it. You just have to make sure you grease the baking tray well or cover it completely with baking paper. The ham we had this year was the best ham we've had for a long time. 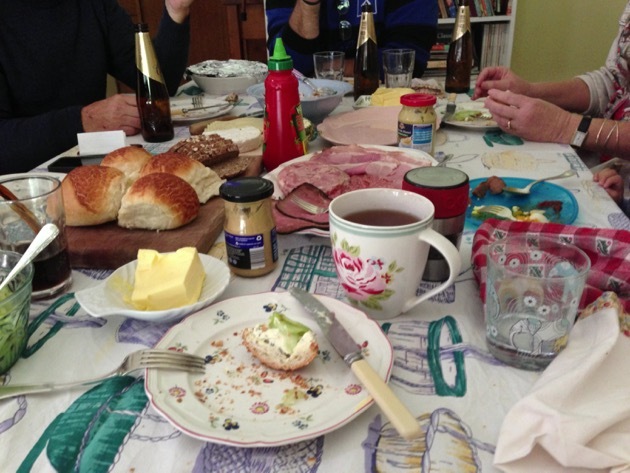 We enjoyed it with our family for Christmas day lunch, and over the following week as a ham and egg breakfast, ham and egg sandwiches, ham, tomatoes and potato salad, ham and cheesy pasta. Gracie had a couple of ham meals and the chickens enjoyed the skin. 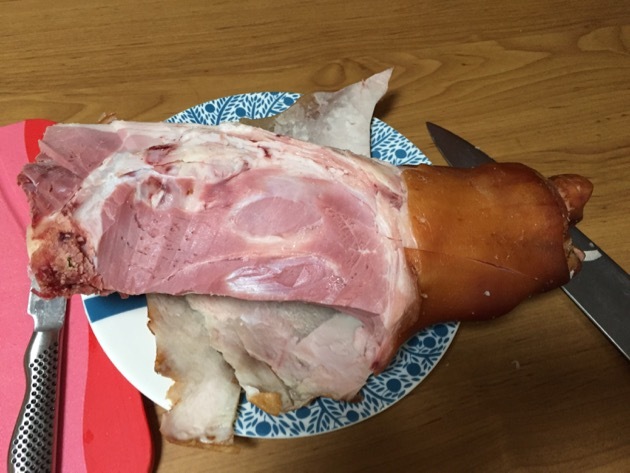 It was well used, that ham. 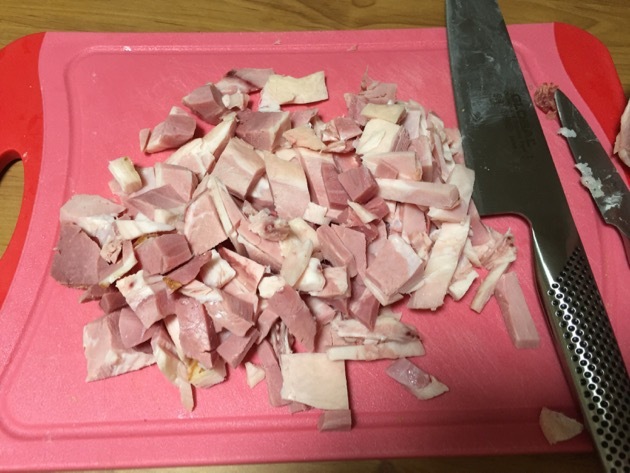 But when it got down to where I could see the bone, I cut off all the ham I could and left just the bone and gristly bits. That was wrapped in a couple of freezer bags and is now in the freezer to make soup later in the year. 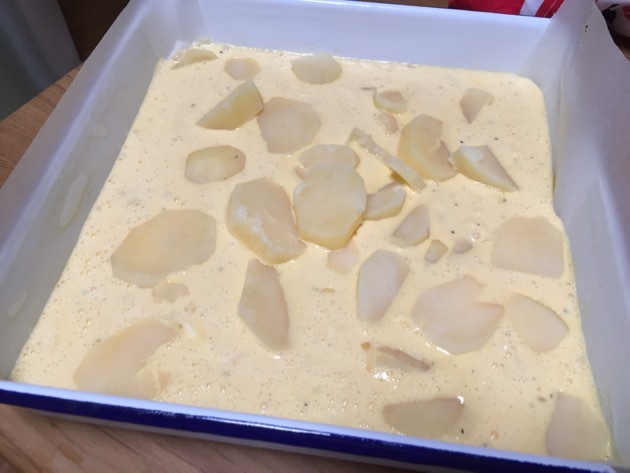 Once you have the basic "custard", you add whatever you have in the fridge that you think your family will enjoy. It goes well with most vegetables, I always include onion and garlic and often use capsicum, peppers, chilli or zucchini. I've also used baked pumpkin, eggplant, leeks, peas, herbs and asparagus. If you want to stretch the meal or have meat eaters who aren't impressed with a frittata, add sliced cooked potato and mushrooms. They add a lot of substance to it. 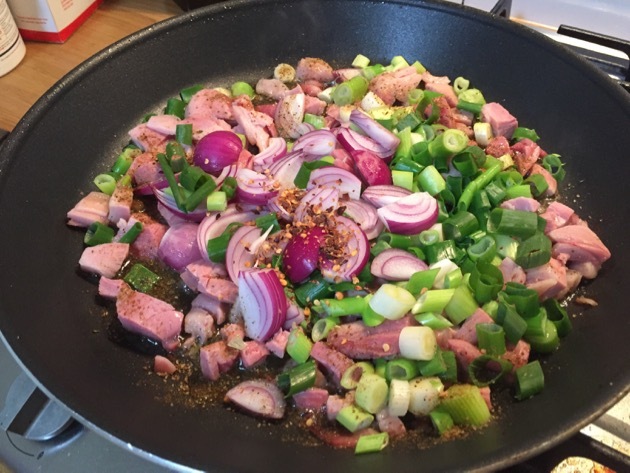 Add ham, red onions, green onions, salt, pepper and herbs to pan, or whatever vegetables and seasonings you want to add. Cook until the vegetables are translucent - about 10 minutes on medium heat. Break the eggs into a large bowl, beat the eggs until the yolks and whites are mixed together, add a cup of cream and cheese and mix in. I add the garlic to the eggs too instead of to the frying pan. I think it cooks better in the eggs. 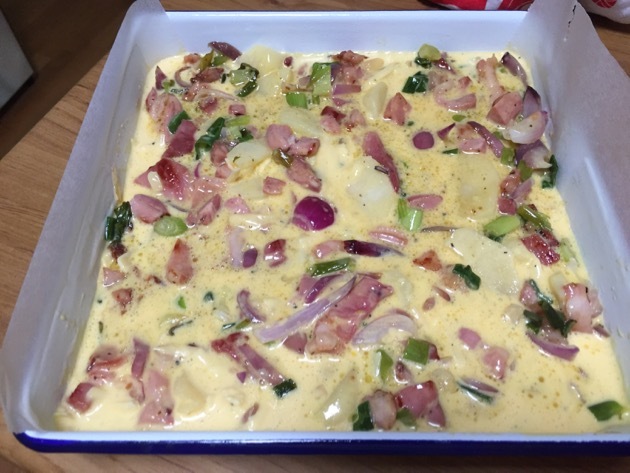 Pour the egg mix into a greased and lined baking tray, add cooked potatoes, vegetables and ham/bacon/chicken and stir gently into the eggs. Place in the oven at around 170C and bake until the top is golden but still a bit wobbly. 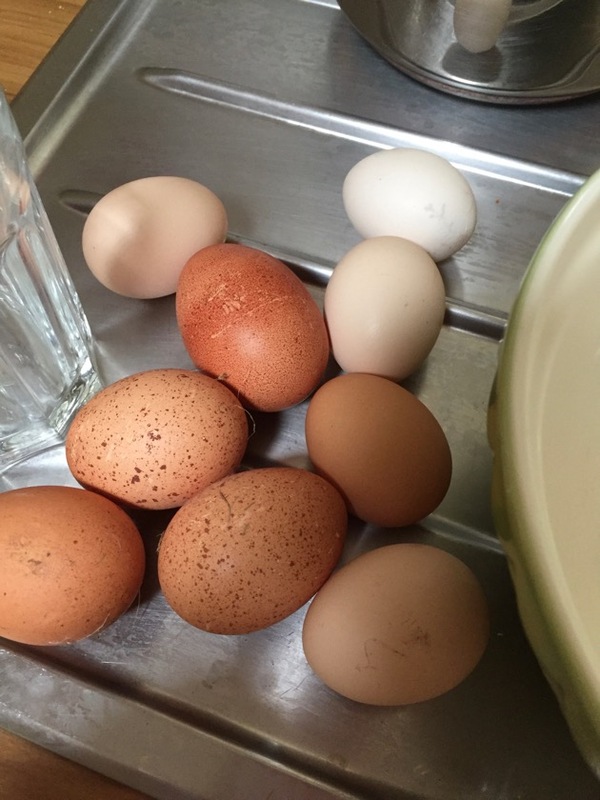 Over cooking eggs will make them rubbery. It's much better to slightly under-cook them because they continue cooking in the tray for a little while after you remove them from the oven. How did you go with your Christmas leftovers? Did you manage to use them all without wasting anything? 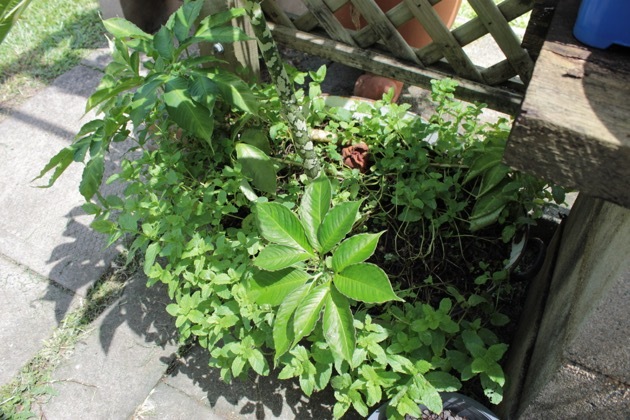 I grow a few food plants in the bush house over summer, in particular, oregano and mint, and they thrive in the partial shade. 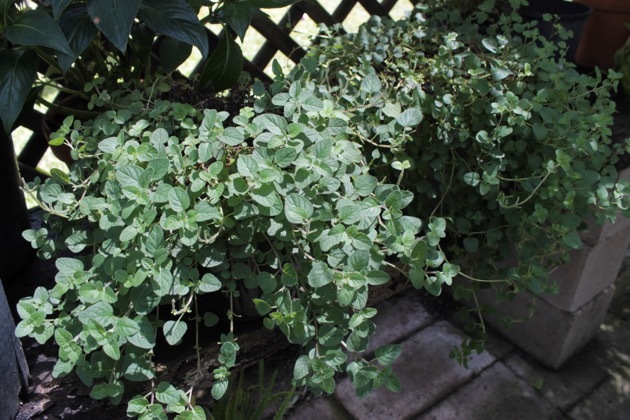 In late December the oregano starts overflowing out of the containers and long tendrils of oregano hang down inviting me to do something with them. I much prefer using fresh ingredients when I cook. I only freeze or dry what will be wasted if I don't save them. 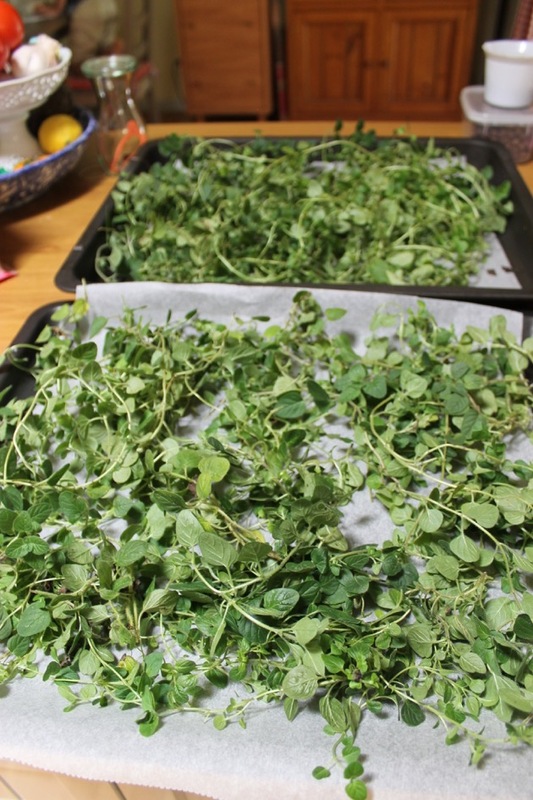 However, oregano and mint are two herbs that take on a different flavour when they've been dried. When they start growing abundantly in summer, that is the time to get the garden scissors out and start snipping so I can use them fresh and dried in my cooking. It helps if you have a black dog following you around while you cut. 😊 Dried oregano is a wonderful addition to Mediterranean food, especially sprinkled over pizza, but is also essential in homemade tomato sauce. Mint is best used fresh in drinks, sauces and desserts but dried it can be used to make mint tea or mint sauce or added to stews. Remember, dried herbs are much stronger in taste than they are when fresh so you won't use as much. 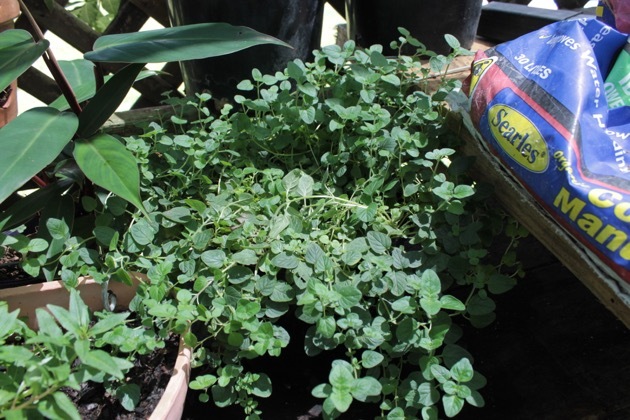 Three pots of oregano growing strongly. This is the mint with a couple of snake trees growing alongside. 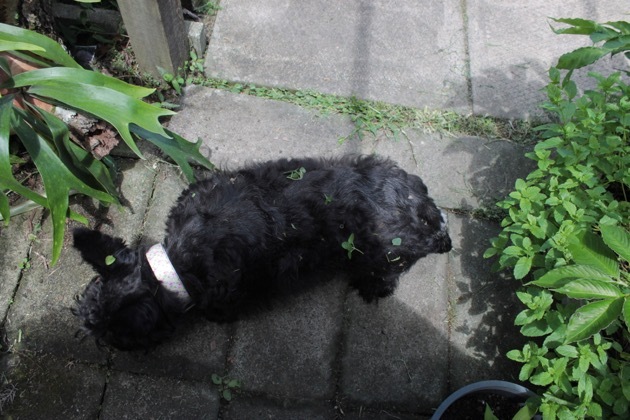 This was Gracie - with a sprinkling of oregano - after she followed me around in the bush house. I had to brush her down afterwards. When the herbs are cut and in the kitchen, I gently wash them under the cold water tap, shake off the excess water and pat dry with a clean tea towel. Don't take the leaves off the stalks before drying, do that afterwards, it's much easier. 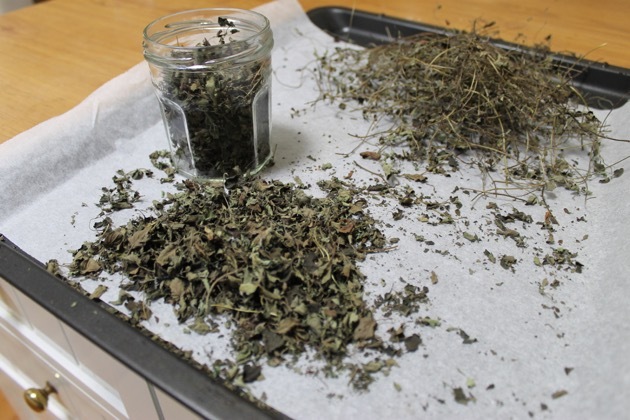 Place a piece of parchment paper on an oven tray and arrange an even layer of herbs over the tray. Today I had enough for two trays. 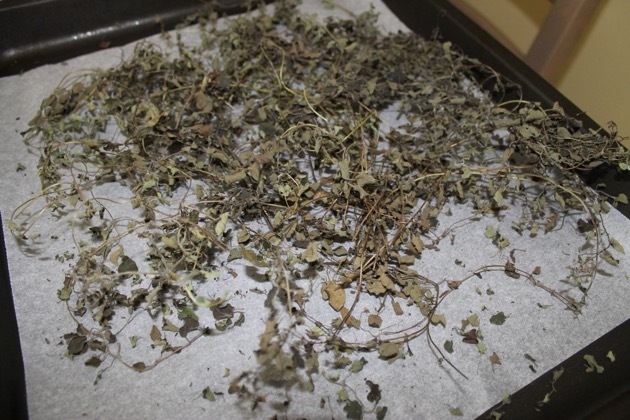 You can dry herbs simply by tying them up and hanging them but during summer here the humidity is too high and bunched herbs go mouldy rather than dry out. My oven operates in the temperature range of 30C to 270C so I turn on the oven to 70C and leave it for a few hours. The time depends on how mach foliage you have in the oven, it might take two to three hours. Keep the oven low and slow, you don't want to bake the leaves, you want to remove the moisture while keeping the flavour. If your oven doesn't operate on a low setting, put it on the lowest setting and keep the door slightly ajar with a wooden spoon. Check every so often and you'll see when they're dehydrated and ready to come out of the oven. This is what it looks like when it's done. When stripping the stems, you want to keep only the leaves. The stems don't add much flavour to your food so throw them in the compost. This is the part I love, I sit at the kitchen table with a cloth spread out and strip the leaves from the stalks. It's another one of those traditional tasks that connects me with all my great grandmas because I know this would have been something they would have done too. 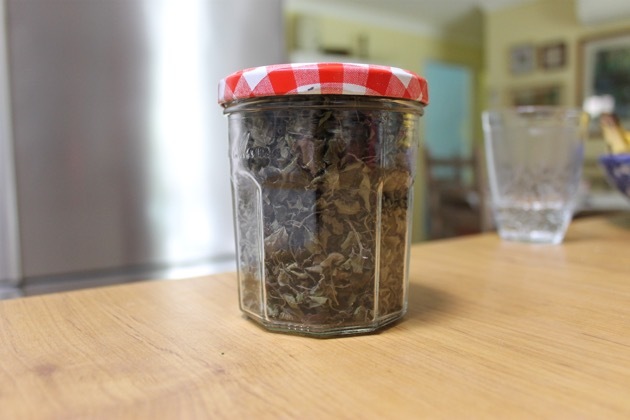 When the stripping is finished and the leaves are completely cold, place them into a clean jar and store in a dark cupboard. Make sure the leaves are absolutely dry because if they still have moisture in them, they will grow mould and you'll have to thrown them out. I currently have rosemary, Italian and French thymes, bay leaves and basil in the garden but all those herbs lose their magnificent flavour profiles when dry. They're best left growing and used fresh. But if you have an excess of oregano or mint, grab your scissors and get a couple of jars of dried herbs in the cupboard to add that extra zing to your cooking. Just one thing left to do. I want another couple of jars of these herbs in the cupboard to see me through the year so after cutting off the excess, I gave all the plants a good water then fed them with an organic fertiliser. That will promote rapid growth and I'll be out there again picking more oregano and mint in early February. 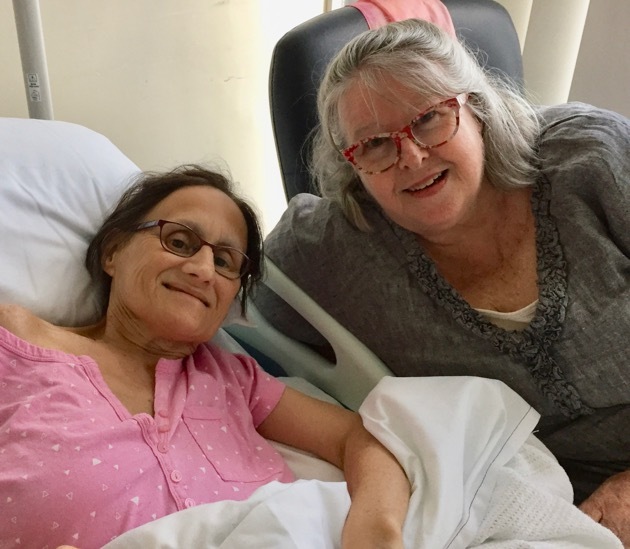 This photo was taken when I visited Rose in hospital a few weeks ago. 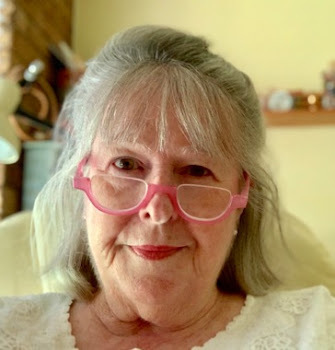 It is with great sadness that I tell you that our friend Rose Marshall died early this morning. Rose was a much loved admin on our forum and a friend to thousands. We will miss her. Rest in peace, Rose. 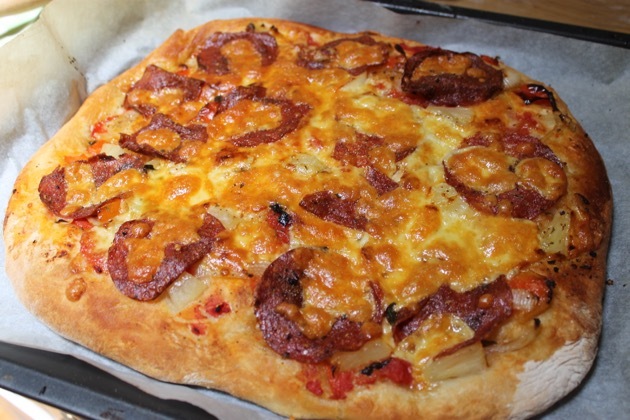 An easy meal, homemade pizza. I spent a lot of time researching my family history this week and I'm looking forward to a break over the weekend. I plan on drying some herbs and making soap and whatever else takes my fancy. I hope you have a great weekend too. Do something that makes you happy. The Great British Sewing Bee, series 4, most of it. Before I start on my post, I want to thank you all for the beautiful comments left yesterday. I really do feel quite overwhelmed, but very grateful. Thank you. 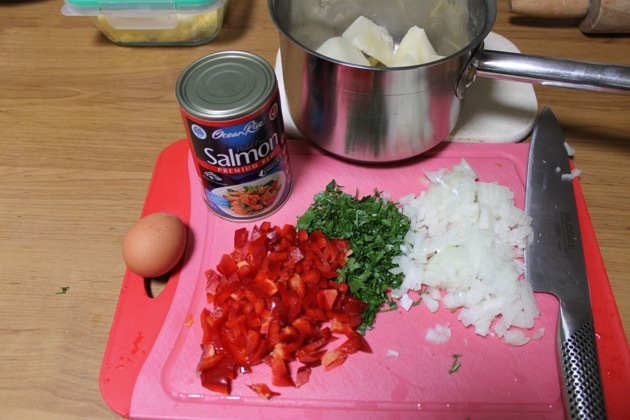 This is the first of my weekly home cooking recipes. I'll make up three new categories - recipes savoury, recipes sweet and recipes drinks. This is a quick summer salad I made up last week. 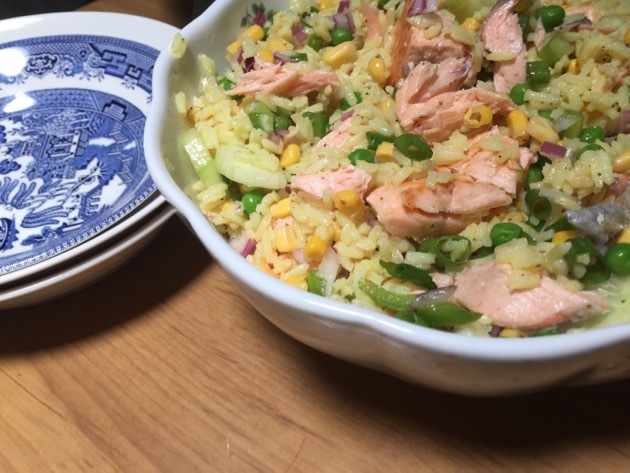 It's a good size for four people but you could make a smaller portion just by scaling down the ingredients - it would make an excellent lunchbox lunch too. 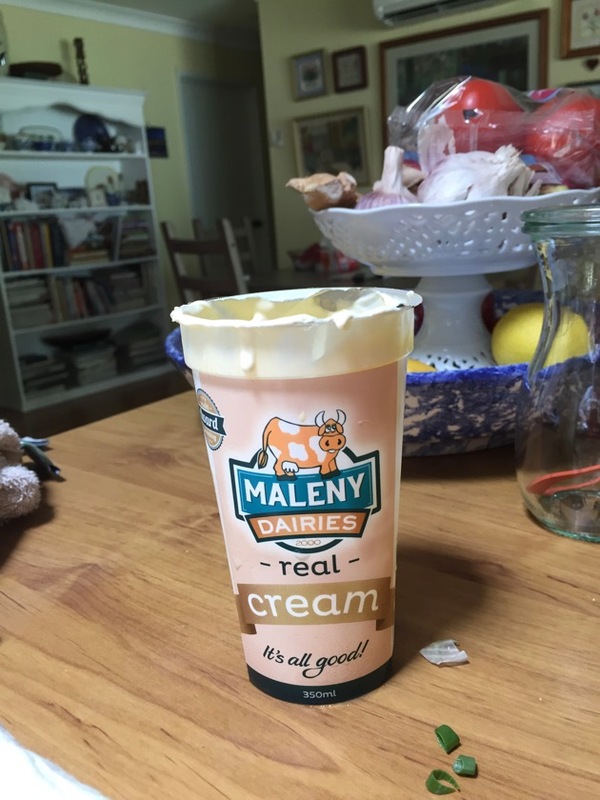 It's a good recipe to have on standby because if you're busy, you can do it in stages and just put it together at the last minute. Use whatever vegetables you have on hand. 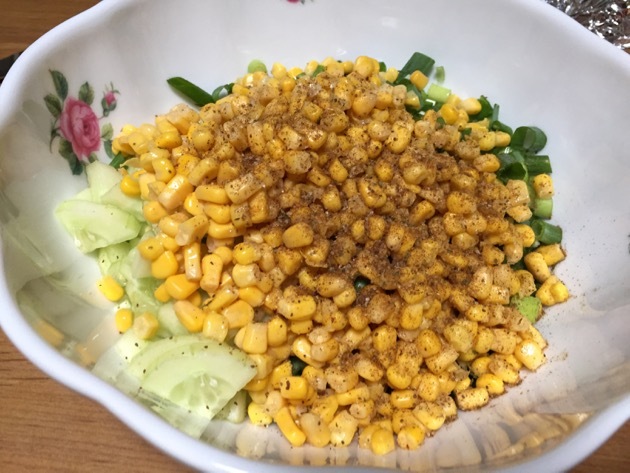 I used onion (I put onion in everything), green onions, a can of corn, frozen peas that I'd cooked in the microwave for four minutes, finely diced celery and capsicum and diced cucumber. If you want a spicy version, add a pinch of chilli flakes. The basis of the salad is rice. 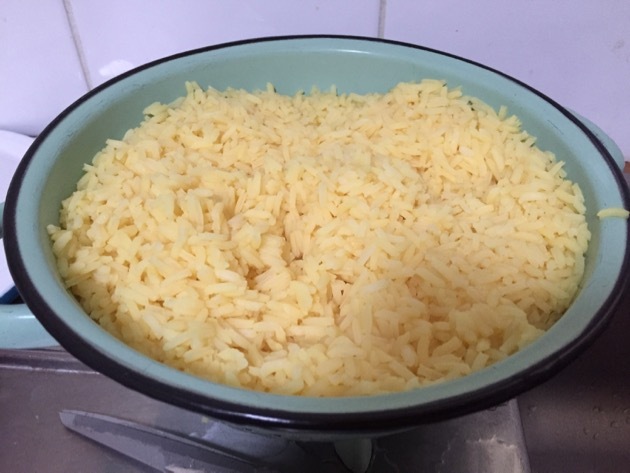 I used white rice because I wanted to add turmeric to make yellow rice, but any grain will do. You could use cooked barley, bulgar wheat, couscous or quinoa. The first step is to wash your grains and cook them. Boil in salted water for about 15 - 20 minutes. When cooked, pour them into a colander and allow that to sit until you need to use it. Above: the prepared vegetables with celery salt and pepper. I buy Atlantic salmon fillets from Aldi. They're from Norway, they're snap frozen in portion sizes and I think they're a very convenient way of providing fish for the table when fresh fish here is too expensive. I pan fried three portions to serve four people. When the fish is cooked, leave it with the rice for later. 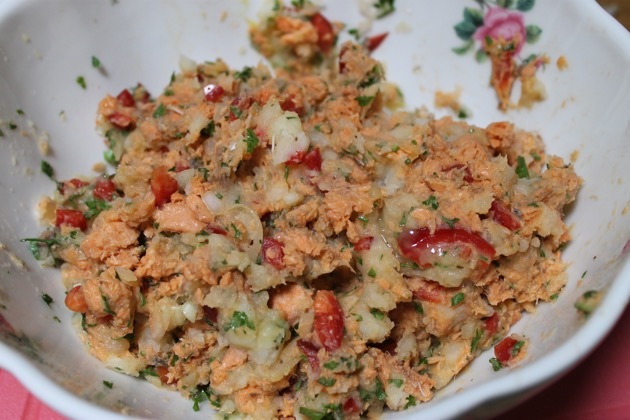 If you don't want to use the salmon fillets, tinned salmon, tuna, diced ham or roast meat would be good too. You could make a vegetarian version by using boiled eggs instead of the fish, or a vegan version by using just the grains and vegetables. 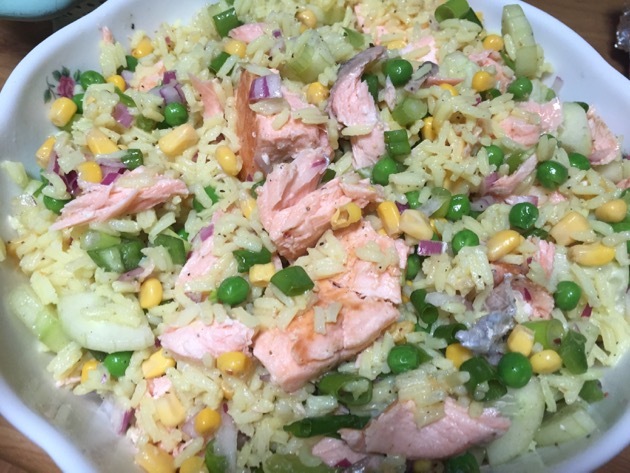 All you have to do now is to cut up your vegetables, flake the fish and mix it all into the rice. I made a light lemon dressing for ours but you could use any dressing you like or have in the fridge. About ½ cup will do, pour it over, add salt (I used celery salt) and pepper and it's ready to eat. I hope you enjoy it.